Entrepreneurship plays a vital role in deploying new ideas and technologies. StartMIT is a two-and-a-half week Independent Activities Period course aimed at exposing members of the MIT community to the elements of entrepreneurship. 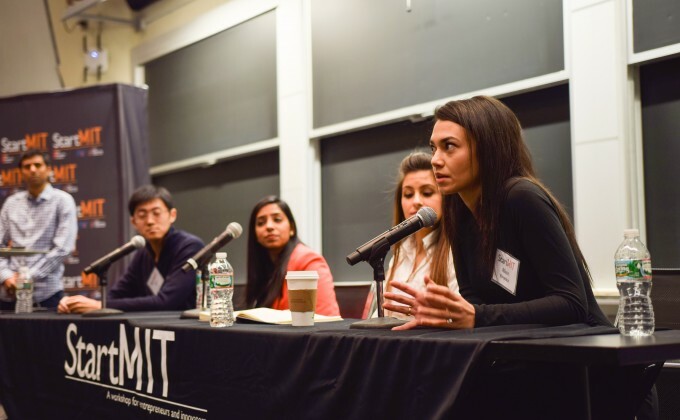 During the course, MIT students hear from leaders in innovation, participate in activities to refine their projects, and attend events with alumni and other leaders in the Boston entrepreneurial ecosystem. Launched in 2014 as Start6 in MIT’s Department of Electrical Engineering and Computer Science, or Course 6, the program now includes students from disciplines across the Institute. In 2016, students from all five of MIT’s schools had the opportunity to work closely with successful entrepreneurs and innovators, including Ethernet co-inventor and 3Com co-founder Bob Metcalfe, the 2015-2016 visiting innovation fellow. Topics covered include (but are not limited to) equity division, models of funding, marketing, scalability, and team building. Additionally, the program highlights some of the campus resources already available to students, including the Sandbox Innovation Fund, Venture Mentoring Service, Technology Licensing Office, and the MIT $100K Entrepreneurship Competition.